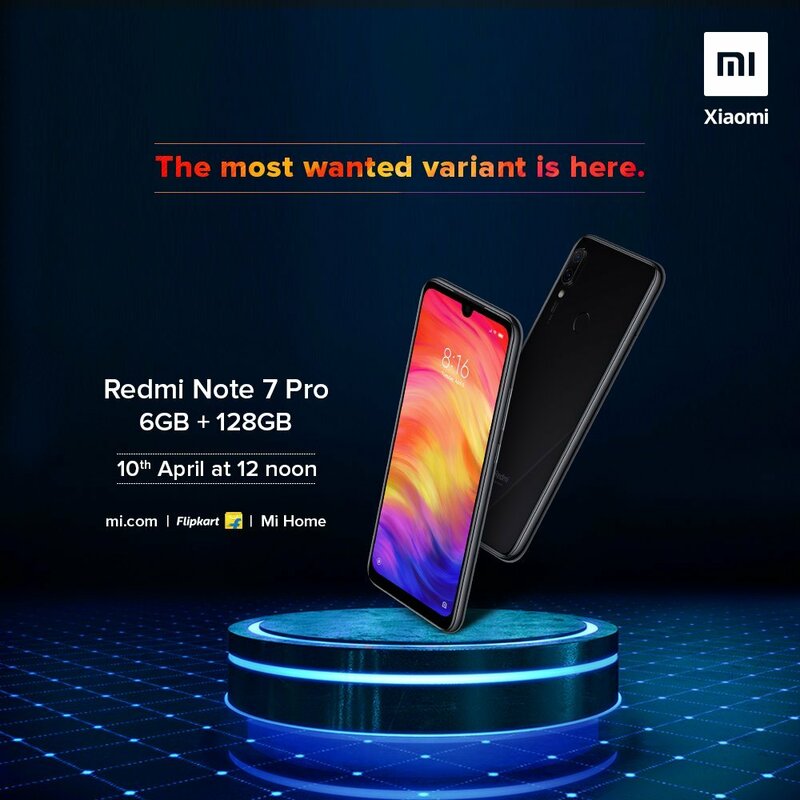 Xiaomi India has announced the availability of the Redmi Note 7 Pro 6GB RAM variant. The news comes from Xiaomi India MD/Global VP, Manu Kumar Jain, who revealed it on his Twitter account. 6GB RAM variant has 128GB of internal storage, the highest amount of storage in the series. It is also expected to be the only storage option for the model. The Redmi Note 7 Pro was launched in February this year and has been well received. Here’s a recap of the device’s hardware. The Redmi Note 7 Pro 6GB RAM variant has been priced at Rs. 16,999. It will be sold through flash sales on Mi.com, Flipkart, and Mi Home stores. The first sale of the new variant is scheduled to be held at 12 Noon, tomorrow i.e. April 10th.